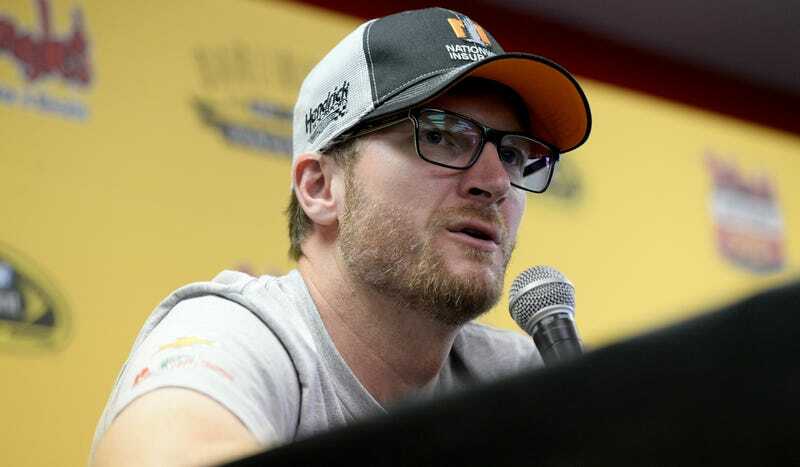 Sidelined NASCAR Sprint Cup driver Dale Earnhardt Jr. spoke during NBCSN’s pre-race show last weekend on his continued recovery. Earnhardt has been sitting out since July due to concussion symptoms. The worst part, for someone whose life revolves around racing, has been the lack of purpose. When you are not driving a car, you just don’t feel like you have any purpose. Get me in a race car because that is the only way I feel like I belong to something, or I matter to someone. When you’re sidelined from doing the activities that largely define who you are, what can you do? Earnhardt says he often feels like he’s twiddling his thumbs waiting for someone to need him, but that’s the problem. What he’s used to providing for the team—a drive—isn’t something he can do right now. Being unable to do your own job is the worst feeling ever. It becomes more than an injury at that point—it’s a crisis of identity. Earnhardt mentions being able to privately help several people understand what’s going on with a concussion, but Letarte brings up a bigger point: he’s made a significant statement in sitting out to begin with. Only problem is—especially in light of Cam Newton’s horrifying multiple-head-smack game last week—it’s hard to tell if the folks who need to pay attention the most are even listening.